Running is brilliant. It’s great exercise, it clears the mind and you can do it where you want, when you want (to a certain extent). But getting started, if you’re new to running, can be overwhelming. Having gone from an exercise phobic couch potato who couldn’t run more than 400m to having completed seven marathons in the past few years, I think I’m ideally placed to help you get started. 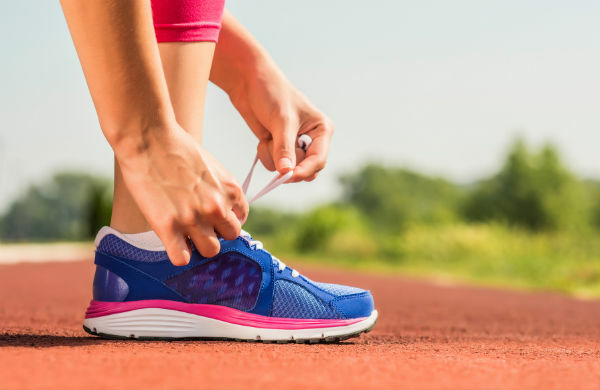 If you’re starting from scratch, the best way to begin is with a run/walk schedule. You’ll typically start with one minute of running followed by one minute of walking and repeat this 10 times. Gradually the running bits will increase and the walking bits will disappear until, hey presto, you’re up and running (pardon the pun). A lot of new runners feel self-conscious for their first few runs. They’re out in public where people can see them and this makes them feel like everyone is looking at them and laughing. In reality, nobody is laughing at you, but it might help you feel more comfortable to start out in the gym on a treadmill. You don’t have to sign a long contract - gyms like Fitness4Less or the Pay as you Gym scheme let you pay per visit. Once you feel confident running outside, you don’t have to keep paying any membership fees. Running outside is definitely something you should do as soon as possible. Once you try it, you’ll not look at the treadmill the same again. London has plenty of parks and canal paths for you to explore free from traffic. A lap of Hyde Park will clock up four miles with plenty of options to make it shorter or extend it into Green Park and St James’ Park. If you don’t own a pair of shoes suitable for running in, then make this your first investment. Running is a pretty cheap activity but running shoes are the main outlay. Specialist running shops like Run and Become in Victoria Home or Runners Need (branches throught London) will be able to offer some friendly advice. While you’re there, pick up something brightly coloured to help you be seen and stay safe if you’re planning on running outside after dark. To measure your progress, time your run/walk intervals and eventually measure the distance you run - there are all sorts of options available. A simple stopwatch will measure the time you’ve run for. You could get a free app for your phone such as Endomondo which will measure your time, speed and distance via GPS, or if you want to splash out you can go all out and get a snazzy runing GPS watch. Running is more fun if you do it with other people, and there’s plenty of groups and clubs who would be happy to have you join them. 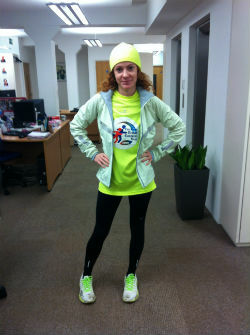 The biggest running club in London is Serpentine who have training sessions all over the city. Sooner or later you’ll be looking for a challenge or to push yourself a little bit further. There’s plenty of races all over London of varying distances for you to get stuck into. Runners World is a good place to begin your search for a race in your corner of the city.